Pursuing a MA degree in documentary film directing at Beijing Film Academy; Speaking 5 different kinds of language, including fluent Chinese; Finished with B.A. of Film and Video production in Universidad San Francisco de Quito in 2009; During 2006-2007, studied films in Boston College as exchange student; Came to China in 2010, 3 years in China have given her a fair understanding of Chinese language and culture as well as allowed her to have a taste of it’s huge diversity in the more than 15 different provinces she has visited. ¬ “Paper Masks” (2010), her BA graduation project at USFQ was premiered in the documentary film festival EDOC 2010 and participated in a 2012 retrospective of the best shorts produced in the history of the Communication Department at USFQ. It was the result of a process of experimentation and collaboration with the artist Giti Newman and has helped her set the path she has been following since. ¬ Her first documentary produced in China, “La mañana es una reminiscencia…” (2011), is a portrait of the Puerto Rican poet James Cantre’s daily routine and a poem inspired in Plato’s Anamnesis Theory that led to the publication of a Chinese edition of James’ poems book. After that, she directed “Sayizheng” (2012), a medium length documentary shot with multiple cameras that offers a possibility for a fairly complete account of the ephemeral works of 22 artists from many parts of China and abroad presented within a few hours in a couple of blocks inside a historical neighborhood of Beijing. - Fusion Lab will be her first feature documentary and the first documentary to be co-produced between Ecuador and China. Graduated from Franklin&Marshall College with a degree on Film Studies and went to the Film and TV School of the Academy of Performing arts in Prague. Yiran is the writer, director and DOP of the short film Martha, produced in Czech Republic, which was awarded Best Screeplay by the Columbia University National Undergraduate Film Festival in 2010. He has also participated in several international productions in China and abroad working with directors from Norway, Hungary, Czech Republic, USA, Germany, Ecuador and China. He is the DOP of the documentaries “Village Teacher” (2007), “Changchuan Elementary” (2008) and “Dancing from Lhasa to Beijing” (2010). In 2010 Yiran worked as Organizer of SIFP(Summit of International Film Producers) during the First Beijing International Film Festival and he is currently working on the film project “Nocturn”, which will premier in the Jackie Chen Short Film Festival. Owner, Music Producer and Main Sound Engineer at La Increible Sociedad ESTUDIOS. Graduated from SAE New York and IMC (Berklee College o Music Associate at Universidad San Francisco de Quito). Daniel has teached Ear Training 2 at UDLA University in Ecuador and music production at Universidad San Francisco de Quito. 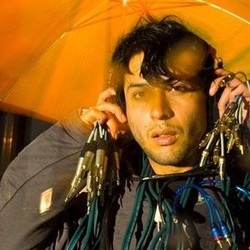 He has worked as a sound designer at the media company ADN Digital and in the past years he has done sound engineering for Ecuadorian feature films such as “En el nombre de la hija”, “Conmi corazón en Yambo” (IDFA2011), “Sin Otoño Sin Primavera” (Ibermedia), “Distante Cercanía” (Bogota Films Festival 2012) and “Saudade”. As a composer and musitian, he has created the projects Can Can and Marley Muerto, producing with both projects more than 6 albums. Filmmaker and producer with studies in management, communication, drama and film, TV and video production. He has acted and directed for theatre since 1995 and from an early age he has held several positions in film crews in Ecuador David has collaborated with CEPAJ teaching in workshops, as associate producer for the audiovisual education project “Cáchale a mi Quito” and developing the TV pilot “Rostros”. 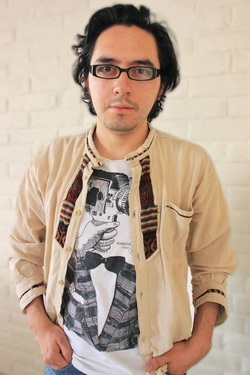 In 2012, the was appointed Audiovisual Coordinator by the Ecuadorian Organization for Peoples and Nationalities (OPNAE), engaging him in several communitarian documentary projects. In 2013, thanks to his debut feature film project “La Infancia busca un niño” , David attended the Berlinale Talent Campus Buenos Aires as a scholar in the section Emerging Latin- American Filmmakers and stablished his own production company CHUKIRAWA FILMS. Filmmaker and producer. Ecologist and human rights activist since 1999. Giovanna has studies in communication, photography, radio speech and film, TV and video directing and production and international diploma in political marketing. Between 2011 and 2012 she learned Mandarin and received training in audiovisual production in Beijing. She has worked as communications coordinator and management at “House of the Youth”, P.A. at the TV show "Arcandina", Official in the area of communication at the Spanish NGO "Ayuda en Acción" and consular services at the Ecuadorian Embassy Beijing. 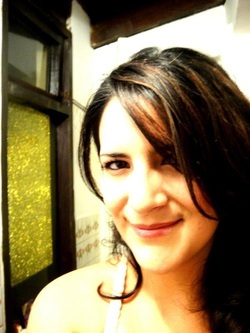 Giovanna worked as Production Designer in the short films "A las Escondidas" by Alejandra Verduga and "Hysteria" by Paola Duran. In 2013 she started as associate produced at CHUKIRAWA FILMS, developing projects such as the itinerant film screening series between Peoples and Nationalities in the Ecuadorian countryside "With Ecuadoran identity"